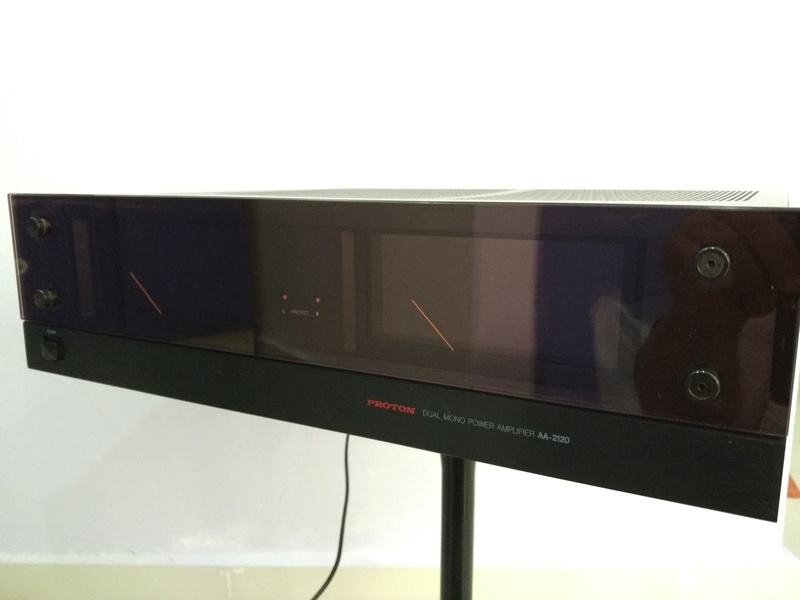 The Proton AA-2120 is a powerful "dual mono" stereo power amplifier whose channels share only a cabinet, power cord, and on/off switch. The amplifier circuits for the two channels are completely separate, each on its own board and fed by its own transformer and power-supply circuit. 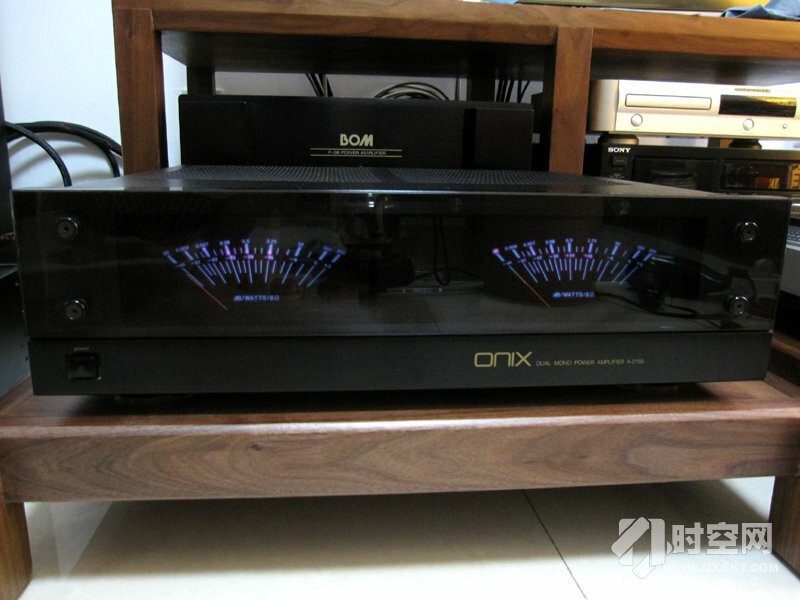 The circuit boards are actually mirror images of each other, yielding a completely symmetrical layout on either side of the amplifier's center line. When the AA-2120 is turned off, its front panel is virtually featureless, with only the pushbutton power switch visible. When the button is pressed, two large output-level meters, softly illuminated in green, appear behind the normally dark glass window panel that covers most of the amplifier's front surface. 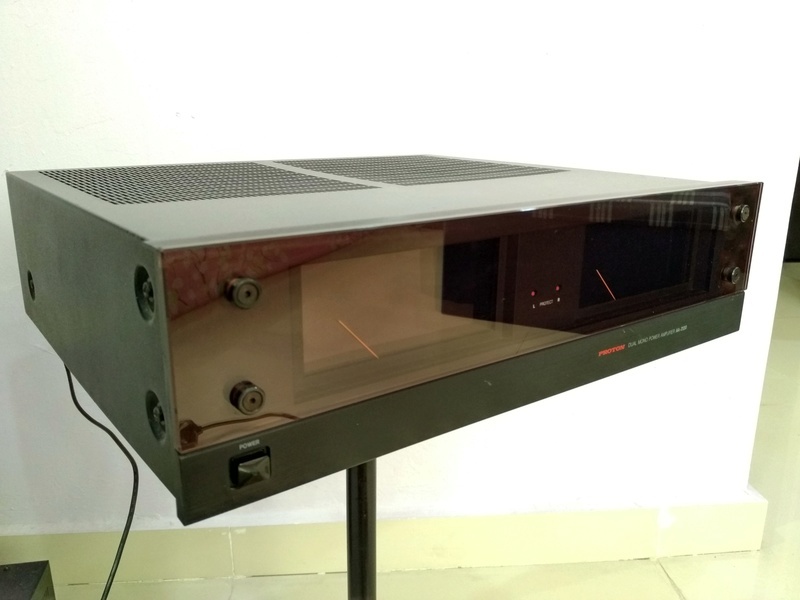 The meter scales are calibrated logarithmically both in watts, over a range of 7 milliwatts to 240 watts, and in decibels relative to the amplifier's 120-watt rating into 8-ohm loads. Between the two meters, a pair of protection LED indicators appear if the amplifier is overloaded or its outputs become short-circuited. 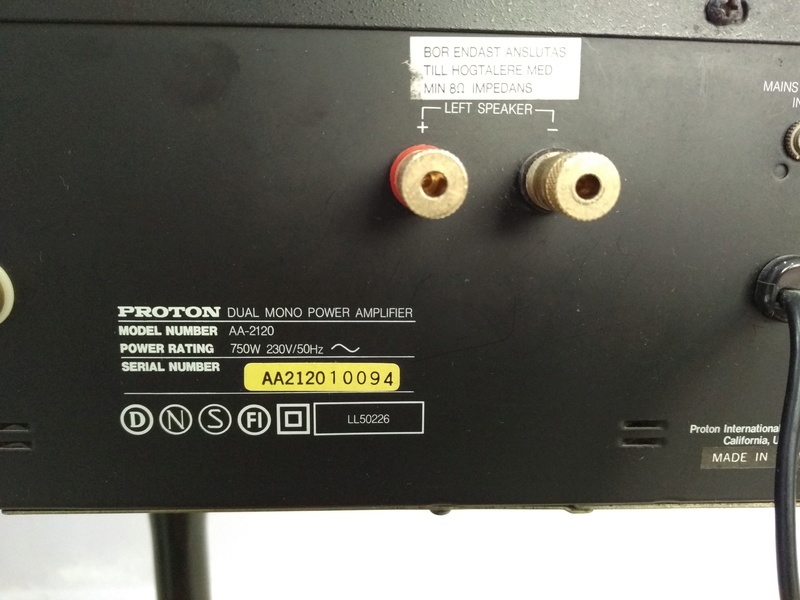 The AA-2120's rear apron contains a pair of phono-jack signal inputs, a control jack that enables remote switching of the amplifier from a Proton AP-2000 preamplifier (a considerable convenience in view of the amplifier's maximum AC-line power consumption of 750 watts), and two pairs of speaker output terminals. Although these terminals resemble conventional insulated binding posts, they would not clamp bare-wire leads and, in fact, were usable only with single banana-plug connectors (they are spaced too widely for dual banana plugs). 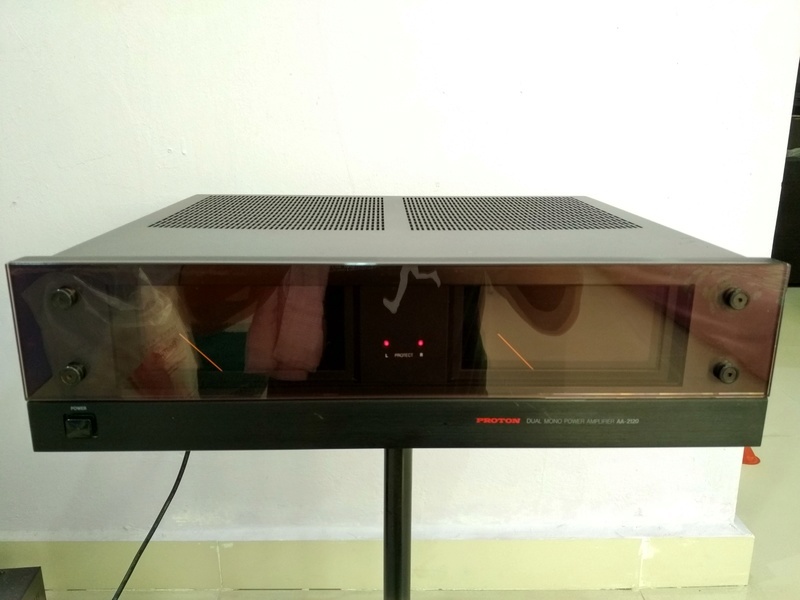 The AA-2120 is a fairly compact amplifier considering its power ratings (120 watts per channel into 8 ohms, 180 watts into 4 ohms); its weight is more consistent with them, however. 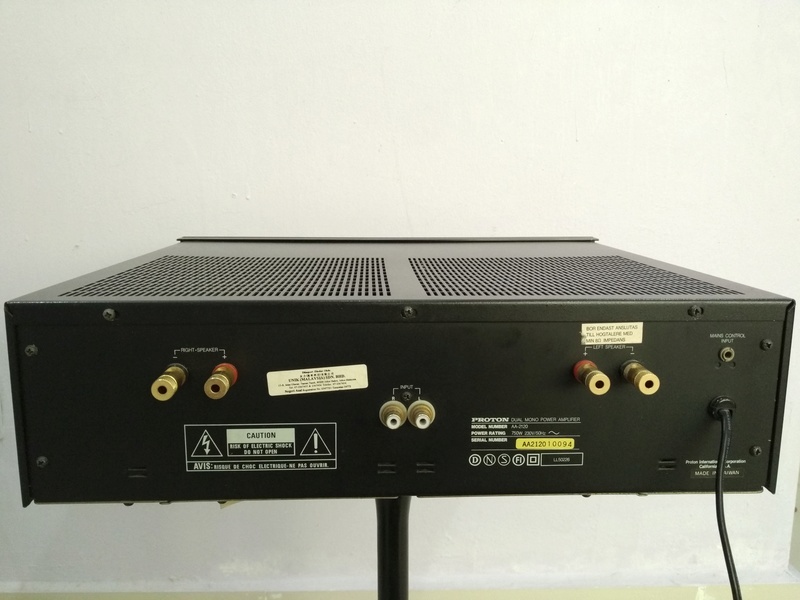 The amplifier has no fan, and its heat sinks are internal, but it is well ventilated and did not become unreasonably hot during our tests (and only mildly warm in normal listening).